H. C. McNeile, who wrote much of his writings under the pen-name of "Sapper", was the creator of Capt. 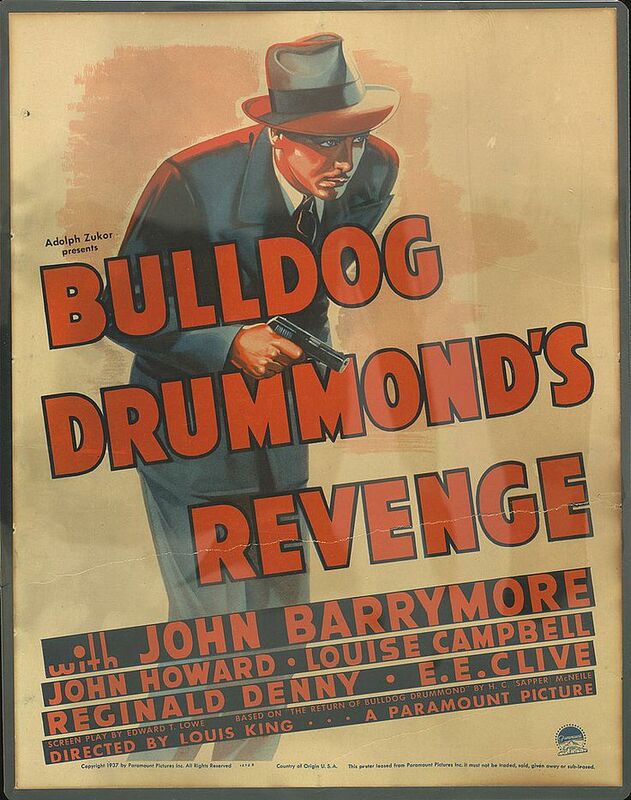 Hugh "Bulldog" Drummond. Like many of his antecedents, Bulldog was an amateur sleuth, a man from a wealthy family who, tired of his dilettante status as a member of the elite, delved into crime as a pastime. Bulldog was always at odds with the police, especially in the person of Col. Nielson, the head of the police department at Scotland Yard. McNeile wrote several Drummond novels beginning in 1920 until his death in 1937, after which several other writers took up the mantle. 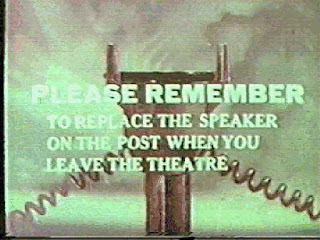 Several attempts at stage and radio tried to bring Bulldog to life, but his best portrayals were done in a series of movies. John Howard played him the most and, although the Col. Nielsen character was played by different actors over the Howard era, John Barrymore lent his skills to the character in three films in the period from 1937-38. While the Bulldog Drummond series of movies are not the action packed mysteries that they could potentially have been, they do not suffer from incompetent acting, at least. Reginald Denny, who appears as Bulldog's best friend, Algy, is a hoot. E. E. Clive, an ubiquitous character actor from the era, is pretty good too as Tenny, Drummond's valet and frequent stooge in his adventures. 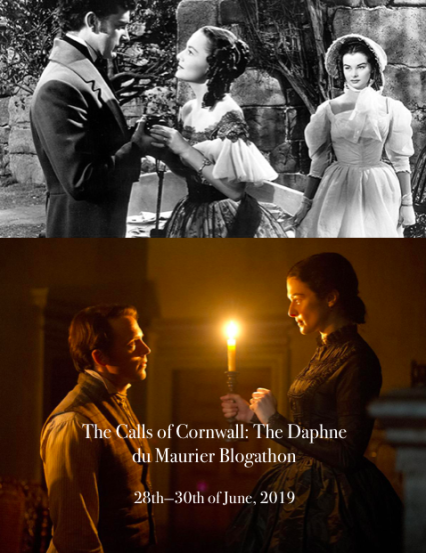 Not quite sure about Louise Campbell who appears in these three as Phyllis, Drummond's soon-to-be wife. I have read elsewhere that Heather Angel (who took over the role after this series) was better. Although she is instrumental in the first entry, Bulldog Drummond Comes Back, she just seems to be additional padding for the other two entries, and I didn't warm up to her. 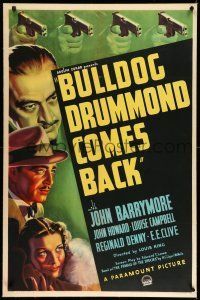 In Bulldog Drummond Comes Back (1937), Drummond is harassed by the wife, Erana Soldanis (Helen Freeman), of a man whom Drummond was instrumental in seeing sent to the gallows. She is assisted by the brother of the dead man, played by J. Carroll Naish. The pair want to exact revenge on Drummond, but like that classic cliche, they're going to kill him slow. So they kidnap his fiancee Phyllis (Louise Campbell). Then they give him the runaround with a series of cryptic clues which sends him chasing all over London and the surrounding area for the next clue. 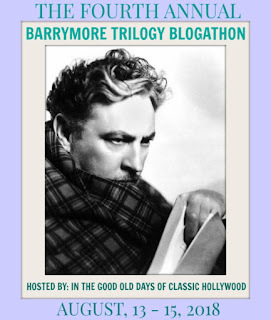 I tell you it's a pretty lame plot, and without the addition of Barrymore, as Nielson. adopting a couple of disguises so he can surreptitiously follow Drummond, this entry would have been dreary. 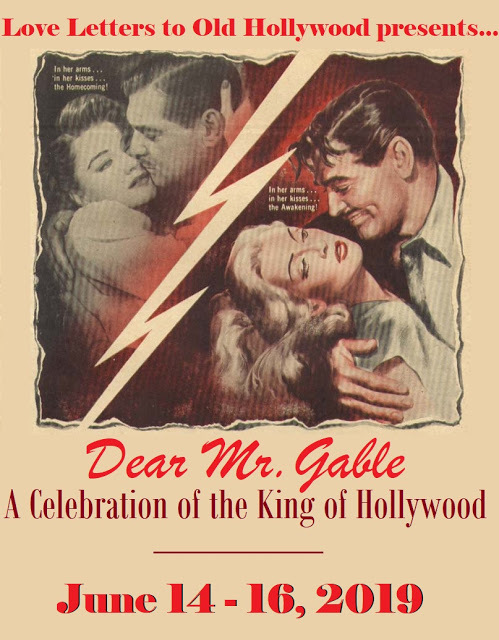 Even J. Carroll Naish, who usually appeals to me even when he is playing a stereotype of a foreigner lacks the zing that he gives in other movies. The next entry in the series, Bulldog Drummond's Revenge (1937) featured our hero, still not married, but getting ever closer. He is at his friend Col. Nielson's office when he learns of the plans to transfer a new explosive from it's inventor's lab. Although Col. Neilson wants to have the professor sent with an armed guard, he rashly insists on flying only with his manservant. Of course, this is a mistake because the manservant, Nogals (Frank Puglia) has plans to betray the inventor, and steal the explosive. He manufactures a crash and ditches the plane with the explosive. Conveniently (or maybe not so conveniently) Drummond and pals come across the explosive, which was parachuted separately, and take it. But the bad guys know who has it. So plans are hatched to get it back. Then Drummond has to retrieve the explosive again for the good of King and country. 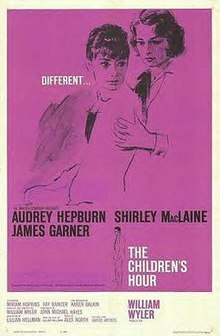 This one is, by far, the best of the three that I watched for this blogathon. Although it suffers slightly for the lack of one particular thread that remains a mystery even at the end (who exactly is the mysterious Japanese man, Sumio Kanda (Miki Morita). I get the feeling he was supposed to be more instrumental in the plot, but other than a brief encounter between our main bad guy and him on the train, there is no real indication of whom he is. 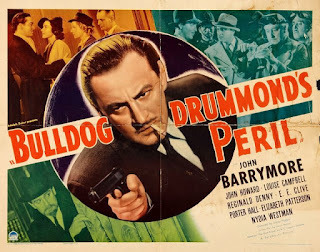 The final entry that had Barrymore and Howard together was Bulldog Drummond's Peril (1938). Once again, Bulldog is on the verge of following through with his marriage to Phyllis. He is in Switzerland, at the home of Phyllis' aunt, where wedding gifts are pouring in from everywhere. One of the gifts turns out to be a synthetic diamond. One that is so good that, apparently, it could potentially cause the value of real diamonds to drop dramatically if the synthetic diamond became public. As it turns out, there are two scientists who, independently. are working on an idea to make the synthetic diamond. The one who sent the present is the one who has better success, but the other may or may not be jealous of his rival. There is also the guy who stole the diamond to begin with. 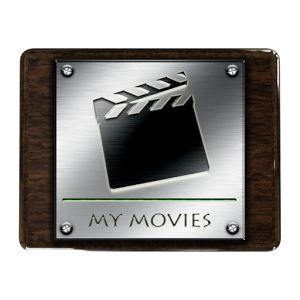 All three of these entries only run about an hour each, which makes them easy to binge watch in one afternoon. For you Barrymore fans, it may be a little bit of not enough, but when he does show up, his gruff demeanor as Col. Nielson is enough to make it worthwhile. 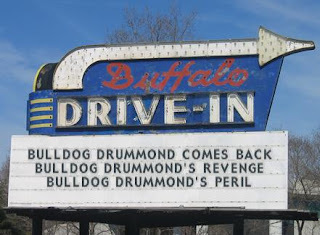 I enjoy the Drummond series immensely. I think of them as "cozy" thrillers. It works. I just expect a bit more pizzazz in my mysteries. Which is why I'm not a big fan of Agatha Christie, I guess. Thanks for reading.